01.) This girl. My heart. 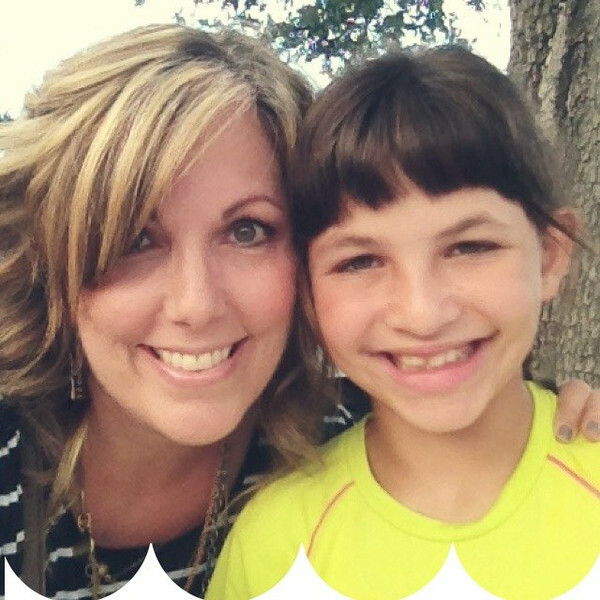 I can't wrap my head, or my heart, around the fact she starts fourth grade (!!) next week (Tuesday, to be exact) and then will have the nerve to turn ten (double digits--what?!) a couple of weeks later. We ran a few errands (dropping off tuition, post office, hair cut (her) (just a trim), bank and dance studio for new taps (ugh!) yesterday afternoon then chilled out and watched an episode of Chopped (we are officially hooked! How did we only recently discover this fun show?) before hitting the town again later while Scott did his fantasy football draft (one of the two teams he'll be managing (?) (playing?) (juggling? ), and hitting the town (this time) is code for going out to eat Tex-Mex for supper. 02.) 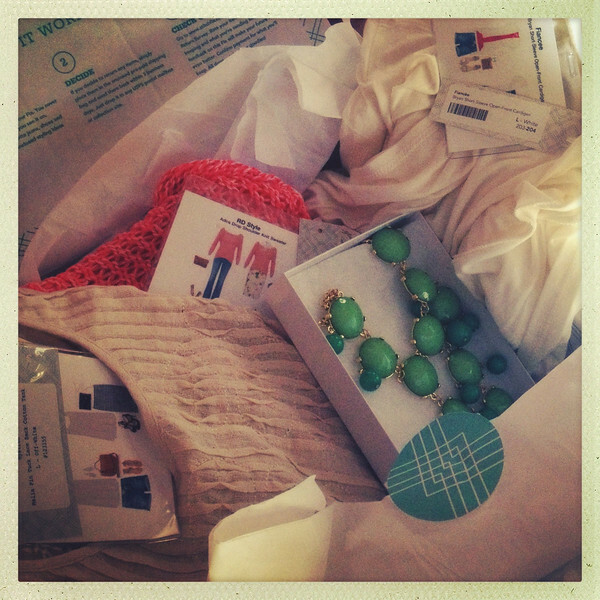 I got my fourth Stitch Fix box full of goodies this week. Have I ever told y'all about this? No? It's a fun styling service that ships 5 items of clothing and/or accessories picked out just for you right to your door for only $20. You fill out an online style profile of things you like, your general style (preppy, boho, classic, et cetera) and your measurements. Once you get your Fix you try things on in the comfort of your own home, keep what you like and return what you don't in the enclosed pre-paid shipping envelope. There are pictures attached to each item to give you a couple of ways to wear it. Your $20 styling fee is deducted from whatever you decide to purchase, if you purchase all 5 items you also get 25% off your order. You also build up future credit if friends join with your referral link (check it out here). I've never kept all 5 items but have kept at least one thing each month from an orange striped boxy sweater, a fun black and white striped drapey cardigan, a basic white knit blouse but with a a cowl neckline and a statement necklace (love!). This month's Fix had a two-toned green bubble necklace (liked it but not enough to buy), a white short sleeve open cardigan (liked it but too thin and wrinkly), an orange loose knit sweater (liked it, but not enough) a denim shirt (already have too many) and a neutral beige loose tank with pleats and lace details. I don't usually wear sleeveless tops but I fell in love with that pleated tank. It's very boho casual and fun! So if you hate shopping but love clothes and accessories just the same, I highly recommend checking out StitchFix. com! 03.) 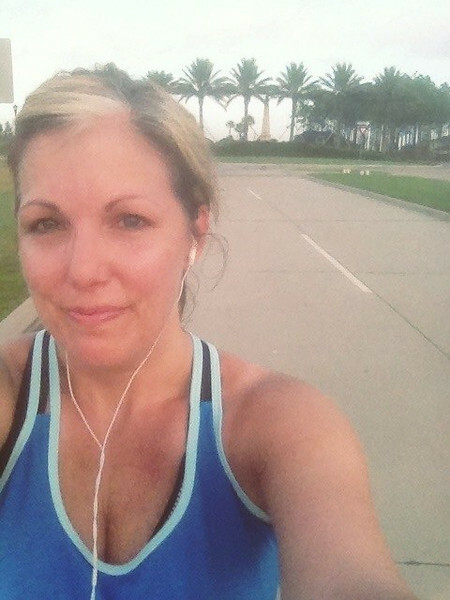 I've struggled a little with my running this week. As in I've only run twice this week. I always feel better once I'm done, not just physically but also emotionally (like a switch has been flipped), but for some reason it's been a challenge to get myself out there. No, I'm not mad in these photos, just extremely sweaty and probably junk yard dog stinky too. 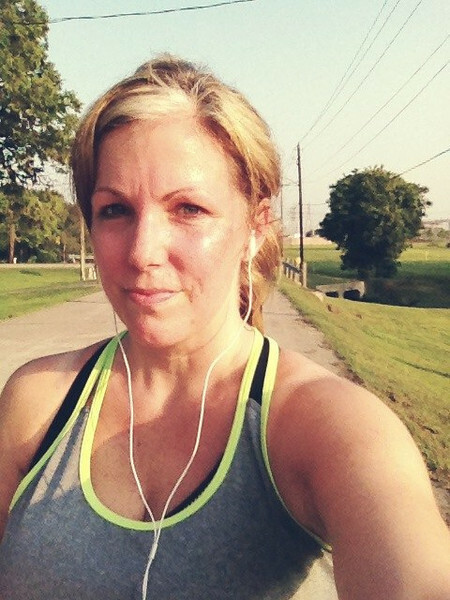 But, I'm currently at 27 miles for #55milesinaugust so I guess it's all good. 04.) In related news, I've finally lost the most of the poundage I gained after our Disney Cruise and Parks vacation, the holidays and general life as a 44 year old woman that wasn't exercising regularly and eating lots of junk. I'm still using My Fitness Pal and tracking my calories and exercise, I really like having that accountability. I'm not super strict and definitely have really good days and really bad days. I guess that the combination of regular running (these monthly IG challenges are really working for me it seems I do need goals after all) and slightly better food choices more consistently is finally paying off--however--I do worry that I'll reach a plateau if I just stick with running and don't mix things up with some strength and different cardio. Today I ran three miles and then did a round of ChaLEAN Extreme Burn, which felt good. 05.) I don't have a five. I just don't. I've got bubkes. I know you are a Seinfeld fan ~ have you ever seen his coffee series with comedians? If you are the one that told us about it I apologize seeing how my again brain can't keep up...... the episodes are short and here's a link with Kramer ~ funny!! !